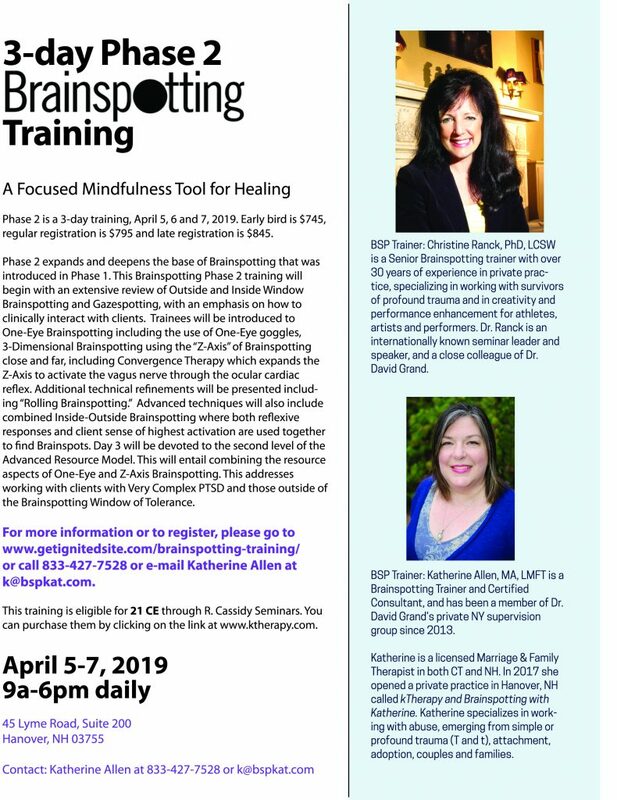 Yes, we are hosting a 3-day Phase 2 Brainspotting Training April 5, 6, 7, 2019. Any questions, please don’t hesitate to contact me directly! 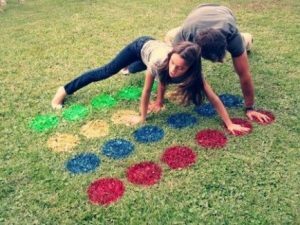 This idea has popped up a few times recently, so I figured it was worth a re-post. I posted on this philosophy back in January 2016. In couples therapy there is often a lot of fear and shame or protection around what is broken. 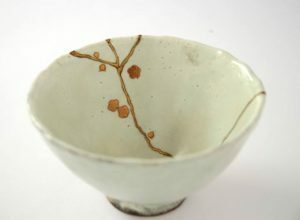 But this Japanese philosophy, Kintsugi, is a perfect metaphor for how couples therapy works: by exposing the flaws and cracks, we can focus on them directly and heal them, with gold, making them stronger, more precious and more valuable than before the break. 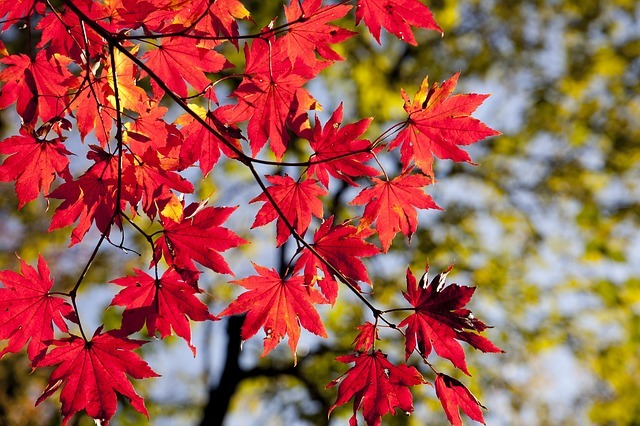 Breaking, then healing, leads to becoming more. 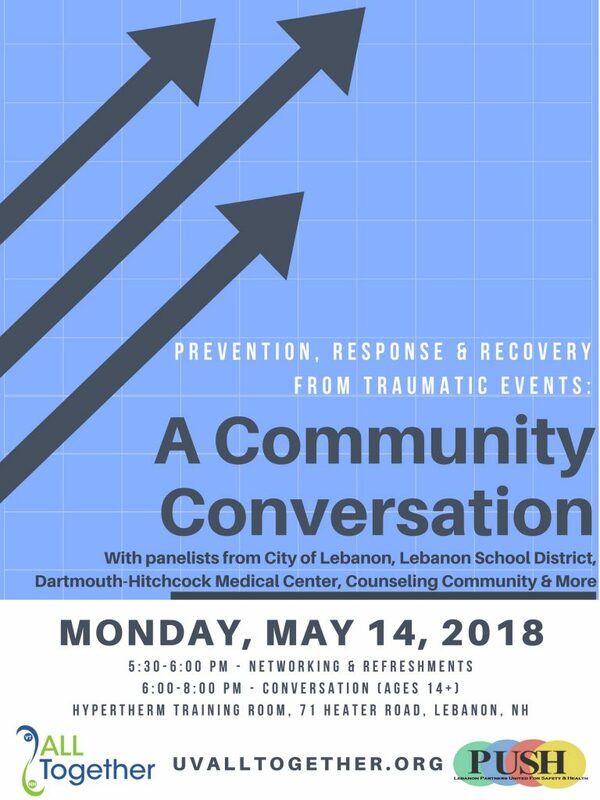 I have been asked to be on a panel to discuss the nature of violence, gun emergencies and how to prevent, respond and heal from them. I invite you to join in this free public conversation to gain education, information and community insight as to how and where help and healing is available. 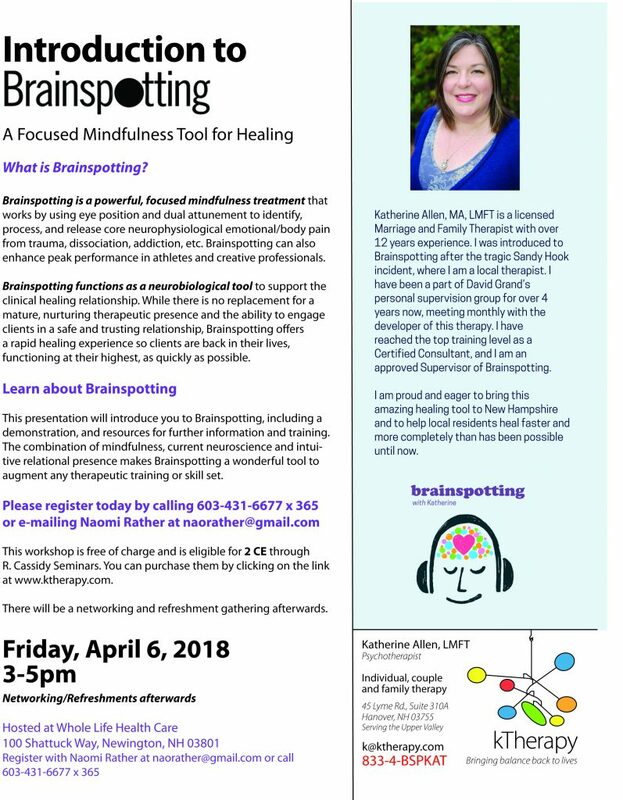 Katherine will be giving an Introduction to Brainspotting Workshop on March 2, 2018 from 5-7pm hosted by Center for Integrative Health, 45 Lyme Road, Suite 200, Hanover, NH. There will be a networking and refreshments gathering afterwards. Please contact Katherine to register. See further details in the attached flier. All healing professionals are welcome! 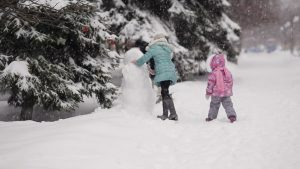 The Holiday Season is upon us and with it there can be extra “bumps” for many of us. Katherine is now available in Hanover for full-days Mondays (9-6) and still half-days Fridays (1-6). 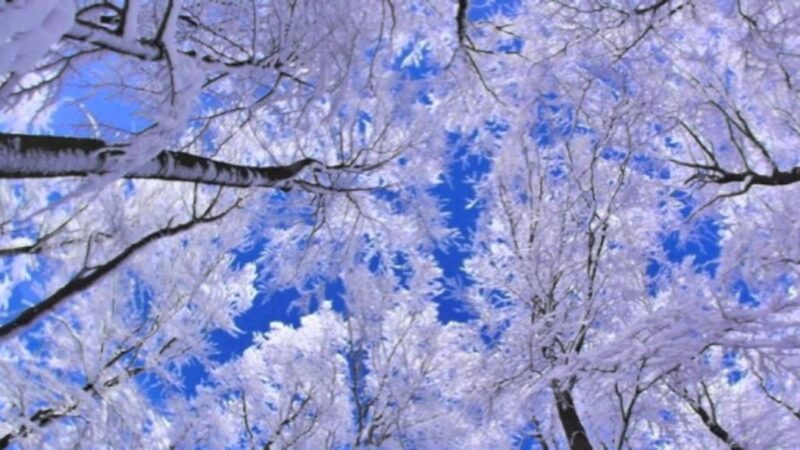 Due to Christmas and New Year’s being on Mondays this year, we will have to see what scheduling will allow to cover the holiday season. In case I can’t meet everyone’s needs, here is a favorite video, a classic Lil Bub Yule Log offering of extreme relaxation and calm in the sea of hubbub out there. Enjoy!